Plastic products were widely used today. In everything that we use, plastic seems to be part of it! Name a thing we always use without a plastic?! It seems that plastic is a necessity! Plastic even dominate the foods we prepare each day. Did you know that we can get different diseases from the food that we eat, but we can also get diseases from food containers that we use?! We all need food containers in our home, in office and anywhere we'd like to store our food. Did you know that not all the plastic food containers that we use are safe. There are amounts of BPA that can be found in some foods packaged in these containers. BPA, is a chemical that has been used for more than 40 years in manufacturing plastics and resins, many hard plastic food containers such as baby bottles and reusable cups and the lining of metal food and beverage cans, including canned liquid infant formula. In our daily lives we tend to forget to check the labels of food containers that we use if it is BPA free or not. Klio food keepers provides the guide in categorizing different types of plastics. 1. Look under the plastic food keepers. Only codes 2, 4, and 5 are known to not leach harmful toxins / carcinogens in your food. 2. Semi clear and colored plastic may hide the use of substandard or low quality materials. 3. A strong plastic smell is caused by using low quality materials. Good durable plastics are odorless. 4. Be mindful of the limitations of your food keepers. Improper use may be hazardous to your health. 5. Replace plastic food keepers every 2 years. Old plastics may become greasy, worn out, and start leaching toxins. Studies and research has shown that BPA can seep into food or beverages from containers that are made with BPA. Exposure to BPA is a concern because of possible health effects of BPA on the brain, behavior and prostate gland of fetuses, infants and children. 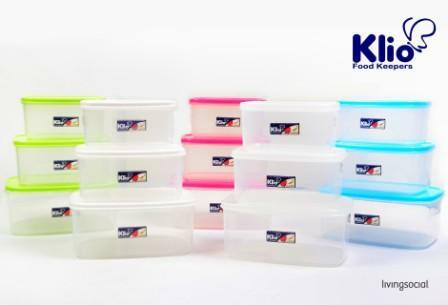 In Philippines, Klio Food Keepers ensures that food containers are BPA Free, 100% recyclable and eco-friendly. Making sure that every dish, cookies, or even left overs are kept sealed and secured for maximum freshness. Klio products are great for potlucks and big gatherings. It comes in different sizes, from a single sandwich container to a loaf container. From small to large food containers. 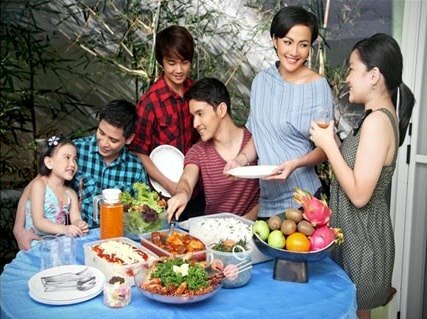 Products are available in SM Department stores nationwide with price ranging from 30 to 300 pesos. What is nice about Klio? Ensuring that our food is safe, kept fresh and BPA free. Make sure food is stored safe with Klio Food Keepers . Every dish, cookies, or even left overs are kept sealed and secured for maximum freshness. Let you save space and stack it easily while also being microwave and freezer safe. Washable and made eco-friendly as it is 100% recyclable. Comes in 5 different colors: Winter White, Summer Pink, Spring Green, Autumn Blue, and Winter Clear. Each container has a clear body made of Grade A materials and colored covers, which are all proudly made in the Philippines.